Deadlier foes and more dangerous dungeons demand greater treasure! To fill your monster’s coffers and line your lich’s crypt, Universal Adventures Treasure Deck II provides you with fifty-four cards to generate treasure for any fantasy roleplaying game. Included are 9 mundane treasure cards (coins, gems and jewelry), which are on a single page so they can easily be printed multiple times, 26 magical treasure cards and 1 Chest treasure card. Also included are 18 Chest cards. Stock your dungeons quickly or generate treasure while you play. Whenever you need to determine what treasure the characters find, all you need to do is draw 1 or more cards from the Treasure deck. In addition, the set includes 18 Chest cards to create a Chest deck. Whenever the characters discover a chest and a character attempts to open it, all you need to do is draw a card from the Chest deck to determine what happens. Coins, gems, jewelry, weapons, wands and armor, the Treasure deck provides you with a wide variety of treasures for your fantasy gaming needs. The Treasure cards can be used independently or in conjunction with other Universal Adventures products, such as the Universal Adventures Treasure Deck. Use them in solo games or in group games, with or without a Game Master. As a Game Master, use the cards to generate treasure for random encounters or for sections of your own adventures. With Universal Adventures products, you’ll always have the tools to play your games, your way. Universal Adventures is a line of game aids and adventures for use with any fantasy adventure game. 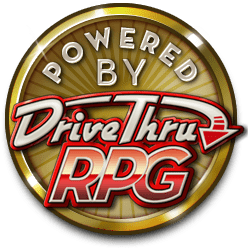 Universal Adventures products fill a wide range of gaming needs, from creating dungeons and encounters, to providing search results and even completely mapped and described adventures. Take a look at each of the products in the line and see what Universal Adventures has for you!